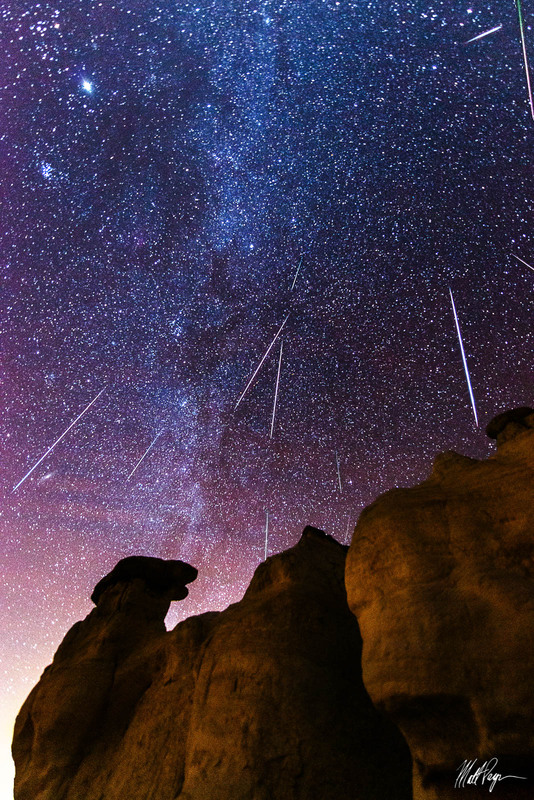 The Geminid Meteor Shower is arguably the best meteor shower of the year. I stayed up until 3 AM to get the shot here, taken at the Paint Mines in Calhan, Colorado. Minor light pollution from Colorado Springs is seen at bottom left, with 12 meteors in the frame. The Milky Way is even seen rising up through the frame above the rocks. 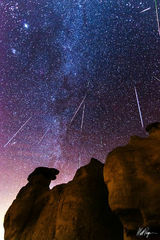 It was an amazing sight to behold, with meteors flashing in the night sky causing the ground to light up. The experience left me feeling in awe and wonder of the night sky and kicked off a decade-long obsession of photographing meteor showers and shooting stars.